Dost Hotel Marmaris is conveniently located just about 300 meters from the seafront boulevard and the Marmaris sandy beach. The hotel offers a pool deck along with sun beds for complete relaxation. There are 19 spacious rooms in the hotel well equipped with satellite LCD TVs, a wardrobe, a dressing table, private bathrooms and balconies as well. Guests can play all the day at the beach and arrive to their rooms to refresh themselves in their private bathrooms; and all the bathrooms are provided with hair drier as well. The guests can relish their breakfast buffet in the hotel’s dining room. A snack bar at the hotel will help you to satisfy your food cravings throughout the day! If you wish to have food outside, you can visit the numerous bars and restaurants situated very near to this place. The friendly staff is available all the time to help you with some ready assistance with a laundry service, help you find a car hire or a bicycle to visit the nearby places of interest. The hotel also offers you a free two way shuttle service to the Marmaris Marina from where you can take a ferryboat to Rhodes Island or the Sedir Island, which is popularly known for its Cleopatra Beach. The places like Marmaris Museum and the Marmaris Castle are very close to the Dost hotel. 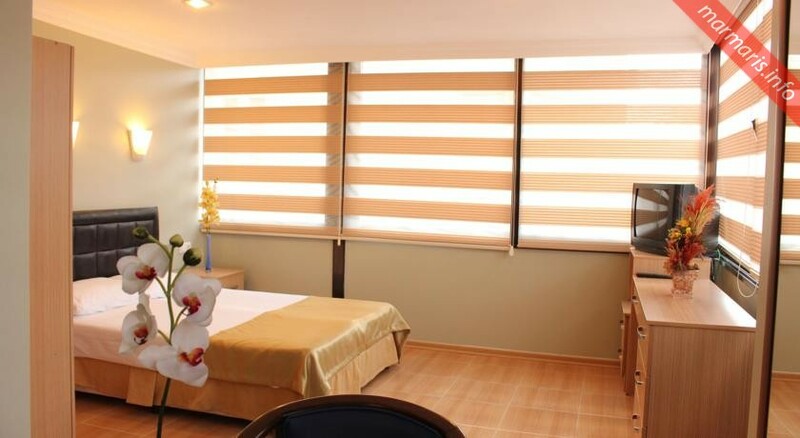 Along with an outdoor pool and a beautiful garden, the Dost Hotel Marmaris renovated completely in 2012 features a safe deposit box at the reception desk. The kitchens are well equipped with amenities like kettles, mugs, fridge, and coffee/tea makers. You will love the spacious rooms and bigger en-suite bathrooms here; they are spotlessly clean, comfortable, sunny and airy as well. The food served at the Dost hotel is typically Turkish and includes a variety of cheeses, yoghurt, olives, tomatoes, eggs, jam, honey, fruits, juice, coffee, tea, etc. The ham salad and the tuna melt offered at meals is a favorite with most of the regular guests to this place. 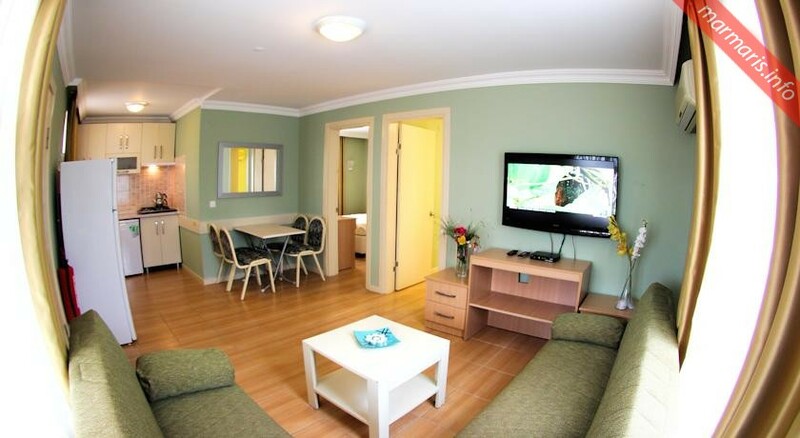 In spite of the satisfying facilities, the room rates are affordable and the staff is very friendly. 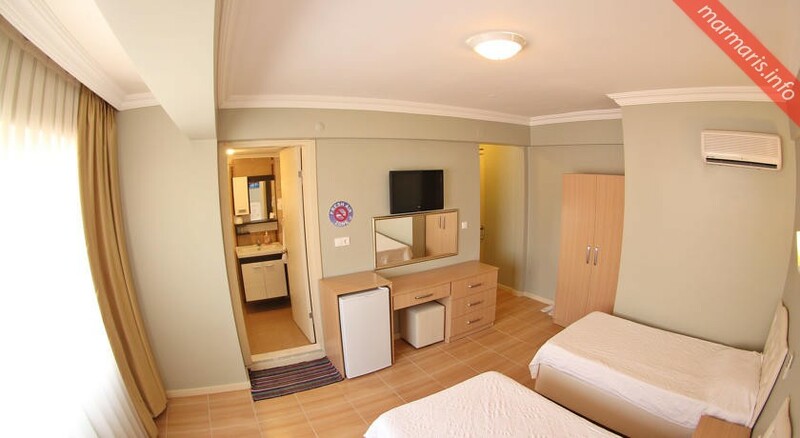 You will remember your stay at this amazing hotel even long after your visit here.satisfying facilities, the room rates are affordable and the staff is very friendly. You will remember your stay at this amazing hotel even long after your visit here. Non-smoking rooms, Family rooms, Safety deposit box, Air conditioning, 24-hour front desk, Express check-in/check-out, Luggage storage.